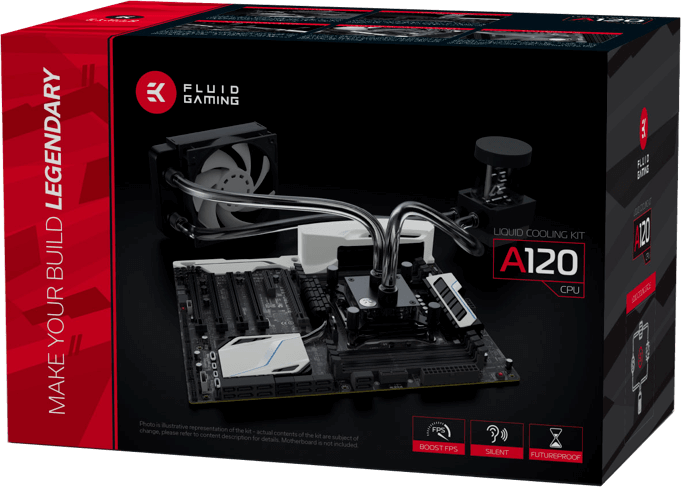 The EK Fluid Gaming A120 is the most affordable custom liquid cooling kit. Exploit all the benefits with a 120mm radiator as it brings silence to your gaming environment. 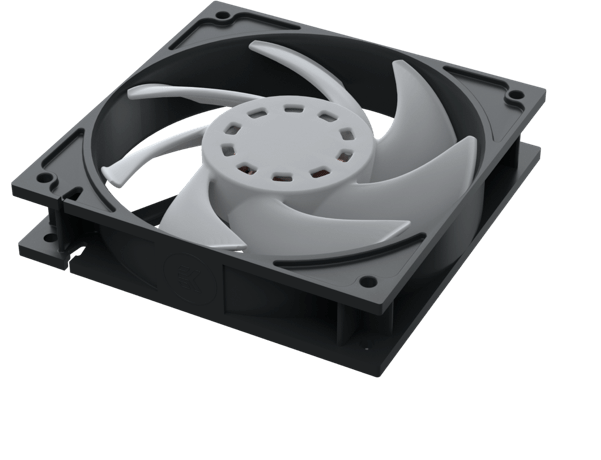 The included pump and fans are all PWM controlled ensuring silent operation and efficient cooling power are delivered according to your demand. 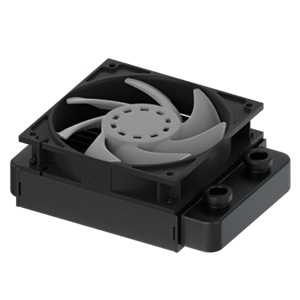 Due to the compact nature of the pump reservoir combo unit and small form factor of the radiator, this kit can be fitted into virtually any existing PC case on the market. This is a high-end CPU water block that brings excellent performance and attractive appearance! 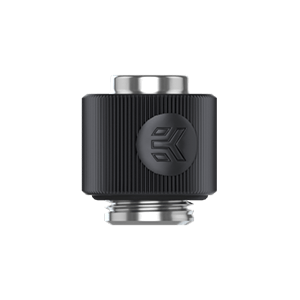 The EK-Supremacy AX features a black brushed aluminum faceplate which gives the water block an appealing minimalistic look that blends in with any hardware. 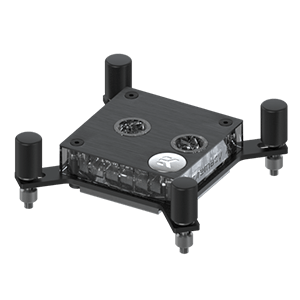 It is a universal water block that fits all modern CPUs on the market, both Intel and AMD. Mounting mechanism that provides easy tool-less installation. EK-TIM Ectotherm thermal paste is supplied with the water block. 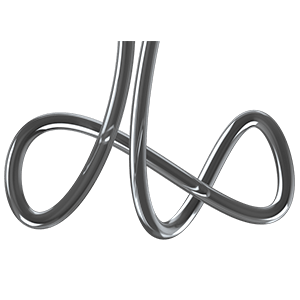 Industry standard G1/4 BSP threaded ports allows for maximum flexibility and offers a plethora of upgrade options. High performance die casted aluminum alloy cold-plate design with micro-channel fin structure results in top-tier performance at incredible value. 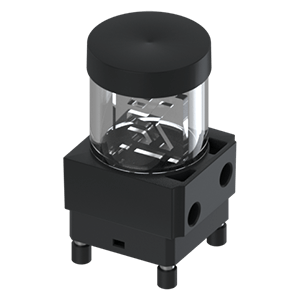 High quality cast acrylic (PMMA) glass tube reservoir. Plug&Play pre-assembled unit is ready to use out-of-the-box. The heart of the cooling kit is the EK-ACR SPC-60 PWM pump-reservoir combo unit. The enclosed PWM series SPC pump offers premium hydraulic performance and full speed control for silent operation. 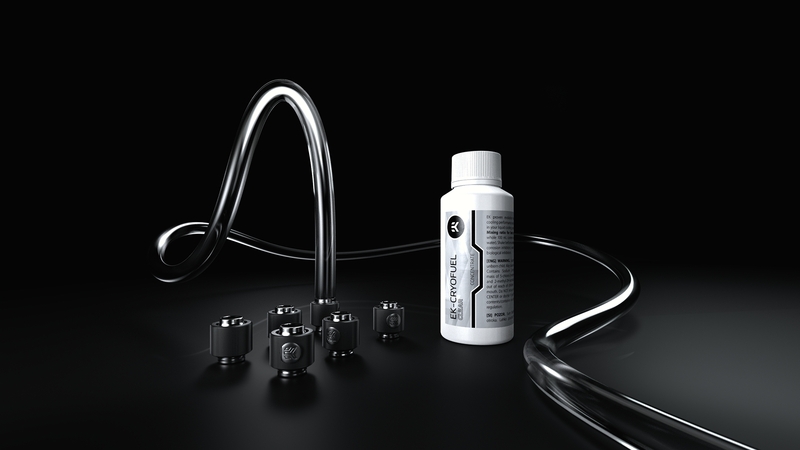 Full performance on demand or whisper-quiet operation in idle mode, the two things which are key to liquid cooling. 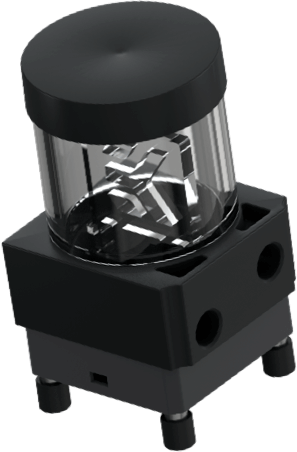 The classic, yet effective square shape of the fan casing ensures optimal performance without hydraulic losses thus ensuring optimal cooling capacity of your liquid cooling radiators. This kit is named after the EK-AluStream SE 120 radiator it uses. 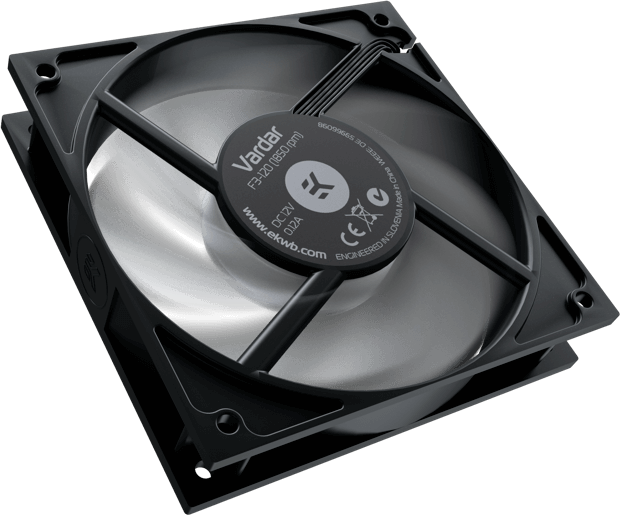 It offers excellent cooling performance for its small footprint of just 160x120mm. 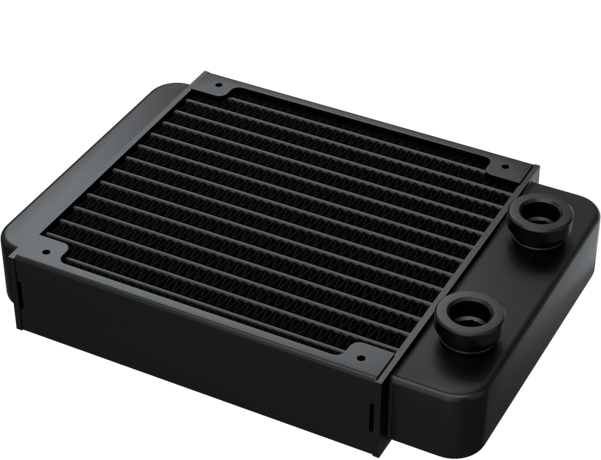 Dense aluminum fins combined with a slim profile provide a huge cooling surface, while the radiator remains highly compatible with a vast number of small form factor cases available on the market. The EK-AluStream SE 120 radiator is optimized for maximum heat dissipation across the entire operational range of the fan thus delivering exceptional performance at both low and high airflow operation. 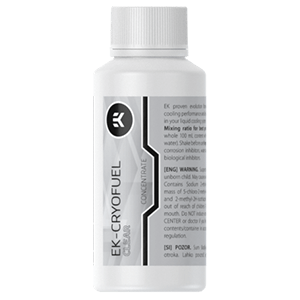 EK-CryoFuel coolant is a pure, non-toxic coolant based on the patent pending chemical formula, which prevents the creation of any sediments in the liquid cooling loop. ACF series fitting (Advanced Compression Fitting) is an all-aluminum soft-tube compression fitting, designed for use with flexible soft tubing such as PVC, EPDM, Norprene, silicone or any other type of compatible flexible tube. Are your PC temps high? Join the ultimate water cooling club in the world.